Home Travelling Does Getting A US Visa Is Just Like Chasing A Rainbow? Immigration is one of the basic processes that are followed by most of the people. Every year, a huge number of people submit the application for immigrating to foreign countries. The US is the dream immigration site for most of the people. In order to immigrate to the US, one has to get a visa from the immigration authority. Every year, some people get a visa for the US whereas most of the people have to face denial. This is why; people consider getting a US visa just like chasing the rainbow. So you know there are several reasons why people face denial but one of the major reasons is illegal immigration authorities. Illegal immigration is one of the most popular things in most of the countries. Though, everyone loves to get into the country with the legal way but the people who find failure in a legal way, they usually for the illegal way but once you are under the trap, the consequences are horrible! In this article, you will get to know more about the immigration visa to the US and it will make things easier for the next time. Basically, there are two kinds of visas i.e., non-immigrant visa and immigrant visa. Let us know more about it. This kind of visa is also known as a visitor visa. As the name suggests, this visa allows you to enter the country for a shorter period of time. In this visa, you can’t even apply for the permanent residency. If you are having the visitor visa, you should keep one thing clear in your mind that you have to come back to your own country once your visa expires. Few examples of visitor visa are the U.S exchange visitor, temporary worker, student and travel. This kind of visa consists of the immigrant visa, family visa and US family preference immigrant visas. Have you heard about green cards? 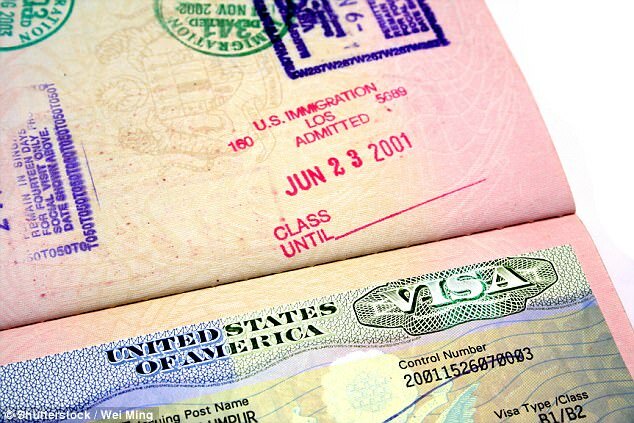 An immigrant visa is an example of a green card. The people who want to work as well as live in the country have to get the immigrant visa.